Authors: Xavier Dumusque, Alex Glenday, David F. Phillips et al. 1642. That’s how many planets have been confirmed orbiting other stars. The two main ways to find exoplanets are the transit and radial velocity methods. 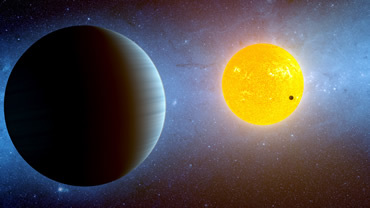 The transit of a star as a planet passes in front of it causes that star to dim slightly. This dimming is detected by telescopes like the Kepler Space Telescope. The radial velocity method uses the gravitational pull of a planet on its host star as it orbits. The planet causes the star to wobble back and forth slightly. A spectrum of the star will shift to bluer colors when the star wobbles towards us and redder colors when the star wobbles away, indicating a shift in the radial velocity of the star along our line of sight. This periodic shift can be used to infer the presence of an orbiting planet. Both of these methods have problems. Stars, like the sun, are not uniformly bright disks. They have dark spots, linked to magnetic fields and coronal mass ejections, which can masquerade as transiting planets. Other internal effects from the star can also cause changes in the observed radial velocity, confusing our attempts to detect planets that way. Since in most cases we can’t see the planet directly, it is difficult to disentangle stellar effects, like star spots, from the planet’s influence. To discover an Earth-size planet with a year-long orbit around a sun-like star, we must measure a radial velocity shift of just 10 cm/s (about the speed of a sloth! ), which is several times better than has been achieved so far. We must account for the complex stellar effects that produce radial velocity shifts. The trouble is, the stars that host exoplanets all appear only as points of light. We can’t see the features of the star like starspots that lead to these velocity shifts. Dumusque et al. decided to treat our own Sun as if it was a potential exoplanet host. They pointed an instrument built for discovering exoplanets at the Sun, measuring its radial velocity shifts over several days. 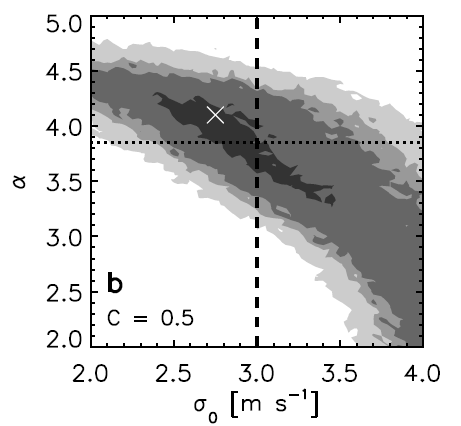 By comparing the radial velocity measurements with high-resolution images of the Sun they hope to tease out the correlation between activity on stars and the velocity measurements. These calibrations should help advance the radial-velocity frontier toward the 10 cm/s precision needed to discover Earth twins. There are several types of effects that can cause velocity shifts in stellar spectra, called stellar jitter. Because of the competition between gravity pulling inwards and pressure pushing out, stars can oscillate like a drum. This causes a periodic shift in the radial velocity of the stars. Stars also experience convection. Like a boiling pot of water, the surface of a star is a patchwork of hot regions moving upward, cooling off, and descending again. Starspots can also cause a shift in the radial velocity of the star. As they rotate with the star, they will obscure parts of the star that are moving towards or away from us, causing a shift in the measured radial velocity of the star. All of these effects are hard to characterize on a distant star, but we can see them happening in real time on our Sun! Figure 1. Left: Radial velocity (y-axis) of the Sun measured versus time (x-axis) over the course of a week. Most of the variation in radial velocity comes from solar processes like sunspots. Right: Zoom in of one day’s observations. The scatter in the radial velocity measurements is significantly greater than the intrinsic instrumental uncertainty (error-bars). This indicates a physical process generating this scatter. The authors built a simple solar telescope to use with the High Accuracy Radial-velocity Planet Searcher North (HARPS-N). HARPS-N is a spectrograph built to take spectra of stars in order to measure the radial velocity shift induced by orbiting planets. In the case of the Sun, the authors were interested in measuring the radial velocity shifts across a few days due to the stellar effects mentioned above. Their results are shown in Figure 1. This plot shows the radial velocity of the sun measured during several periods over the course of about a week. The scatter in these observations is much greater than the error-bars on the points from instrumental uncertainty. This means that the scatter is driven by real effects on the Sun. The authors used images from the Solar Dynamics Observatory (Figure 2) to investigate the activity of sunspots during this time. 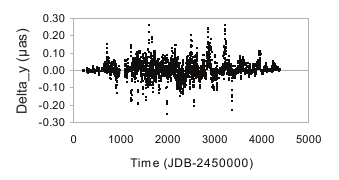 The highest velocity shift observed corresponded to a Sun with lots of activity, as expected. Figure 2. Images from the Solar Dynamics Observatory in 4 different wavelength bands. From left to right: Optical, magnetic field map (using polarized optical light), extreme ultraviolet, and far ultraviolet. These images correspond to the same time as the highest radial velocity shown in Figure 2. The Sun has many sunspots, showing the correlation between Solar activity and radial velocity shifts. By characterizing the relation between solar activity and the solar radial velocity, the authors hope to be able to improve their techniques for subtracting these solar effects from the velocity data. They predict that they will even be able to detect the pull of Venus on our Sun in the next couple years. Applying these lessons from the Sun to stellar radial velocity measurements should likewise allow us to gain enough precision to detect Earth-twins.